At a Social Media Marketing (SMM) training session I conducted with a group of small business people I heard comments, concerns and assertions that revealed some common misconceptions and myths about SMM. In a previous post we attempted to dispel the “myth” that social media doesn’t cost anything. In this post we address the notion that if you have a website you really don’t need to do social media marketing. For the most part, marketing is about capturing eyeballs and most eyeballs today are affixed to smartphones and tablets. According to a study by comScore, a majority of Americans (60%) access the Internet with mobile devices. People are using their app driven mobile devices to go on social networks. To build awareness and generate sales, businesses need to go where their customers and prospects are. Social networks are where millions are congregating, celebrating and collaborating. Its where people are having 24/7 conversations, sharing photos and videos about product, goods, and services. This is why social media marketing makes sense. The way that people make purchases has changed. Consumers want to solve problems. They only care about your products or services to the extent that you can provide a cost effective solution to their problem. When consumers need a product or service, they go to the search engine of their choice – Google, You Tube, Bing, Yahoo etc.- and type in a search term or question regarding the problem they need solved or the question they need an answer for. It is highly likely that what they are looking for will be found on a social network. If your only digital presence is your website, you significantly reduce your chances for being found. As a small business you are challenged to generate the kind of web traffic that many social media platforms have. This is why it makes sense to use social media marketing to leverage their traffic to boost your own. So instead of having just one distribution point for your content, you can share your content on various social media platforms and significantly expand and extend your reach. People don’t go on social media to be to be sold to, they go on social media to be informed, engaged and entertained. The content you share on social media should also inform, engage and entertain visitors. Social media is where you build trust and generate qualified leads and provide links back to your website. Your website is where you can present visitors with “hard sell” content. It’s your store and they come there to buy, so make it easy for them to do so. Your website is where you should close the sale or get visitors closer to converting. Your website can and should be the hub of your digital marketing strategy. It’s a 24/7-touch point where your target audiences can engage with your company, at their convenience, for information, purchases and service. It’s where you want your social media marketing leads to go for more of the relevant content they looked for during their information-gathering phase. A website that is rich with a variety of relevant content that people are looking for becomes a destination site. Most importantly, unlike social media networks, you own your website. You have complete control over the amount, type, quantity, quality and frequency of the content that appears on your site. There is no other medium that affords that amount of control. Over a billion people are on social media. Its where people are spending a great deal of their free time. Small businesses that continue to discount social media as a playground for the youth market and choose not to use these channels may become isolated and separated from key target markets by a vast amount of information they cannot access. Compelling and relevant content is at the core of a successful digital marketing strategy. However, many small and medium size business people have no idea what “content” is. This post is for you if you fall into that category. What would you think of a store where the items on the shelves never changed? Week after week you go in and the same stuff that was there last week is there this week. Some of the stuff expired months ago, yet it is still there on the shelves. You would probably stop going to the store thinking that no one else was purchasing products there and neither should you. Of course this is a highly unlikely scenario. A successful store would never leave stale products on its shelves. It’s just not good business. Businesses should think of their digital platforms as stores. Just as a traditional store replenishes and updates its inventory, businesses must do the same for the digital inventory on their websites and other platforms. Yet it is not unusual for many small and medium size businesses to keep the same old stale, expired content on their websites. A company’s digital platforms (e.g., website, social media etc.) are the 24/7 touch points that anyone in the world can visit. It is the public face of your business, the place where visitors can form a first impression of your company. If your “What’s New” section hasn’t been updated in over a year then you’re not going to leave a very good first impression. Yet the very same companies with static websites will run multiple sales campaigns or change their brands and logos. Companies must adapt to the changes in the way that customers and prospects get their information. You should have a plan for refreshing your digital platforms with current content. Don’t keep stale content on your digital store shelves. How Often Should I Update My Web Content? Although daily updates are not practical, you should be aware that a steady flow of content might increase your search engine optimization (SEO). Think like a customer when it comes to producing content for your digital stores. Rely on your customer facing touch points to come up with the questions your customers frequently ask or problems they may be looking to solve. Your posts and content on topics like this will make it easier for customers to find you during search. Information about your business, products and services is just as important, if not more important than simply promoting the features and benefits of your product. Consumers buy benefits not features. Your content should reinforce in a compelling way the benefits of your products and services. Businesses have a wealth of information they can share with their customers and prospects to make their purchasing decisions easier. Content that customers are looking for and use can result in increased leads and hopefully a closed sale. Social media is a relatively new phenomenon when compared to traditional marketing communications tactics. Facebook, Twitter, LinkedIn and YouTube are all less than 15 years old. Given the relative novelty of social media, I was not surprised by the level of skepticism, doubt and misunderstanding expressed by the students. Time is money and it takes time to plan, research and develop a marketing strategy that incorporates social media. It can take a significant amount of time to produce relevant content that target audiences will want. It also takes time to implement, activate and monitor a social media marketing strategy. According to the 2015 Social Media Marketing Industry Report, 80 percent of marketers spend up to 20 hours per week on social media marketing. The amount of time spent is related to the size of the business and the length of time they have been using social media in their marketing. Experienced social media marketers in large firms spend more time than beginners in small firms. Two thirds of small businesses choose the Do It Yourself (DIY) method of social media marketing. These companies are on the low end of the time spent chart above because they spend little if any time on strategy and focus solely on execution. The extent of their SMM is to set up a company page on social media and post status updates or announcements. SMM is viewed as less critical to the business than traditional media. While this approach to social media marketing is low cost/no cost, the truism “you get what you pay for” is at work. A third of business owners choose to outsource social media marketing. Mack Collier, recognized by Forbes magazine as one of the Top Social Media Marketers in the world, has written about the costs of social media marketing. In 2012, he reached out to several of the leading social media consultants and identified industry average monthly costs for various social media marketing services. He noted several changes that have occurred in the social media consulting industry over the last few years. Since 2010, businesses, in general, have increasingly accepting the permanency of social media. It is no longer seen as a fad, but rather as a necessary component of an overall marketing strategy. In my view, medium and large business are at this point already, small businesses and non-profits are getting there. The growing acceptance of social media as a necessity resulted in mid-sized and larger companies building their in-house social media capabilities. For Social Media Consultants this means a shift away from day to day social media tasks (e.g., account set ups, content creation, customer interaction etc.) and toward higher value services (e.g., strategy, training, consulting etc.). This shift is reflected in a change in prices. In general, since 2010 outsourced prices for day to day execution has gone down while higher value services have increased in price. Clearly, social media marketing will cost you, whether you DIY or outsource it. However, these costs can be managed. For DIYers, implementing social media marketing can take significant amounts of time out of their day, so a degree of discipline is required. For small businesses, time management is key. Creating a strategy and plan for social media marketing will enable you to be more efficient with your time. One of the biggest mistakes small businesses make is not having a plan that enables them to schedule and prioritize their efforts. Another way to manage the time spent on SMM is to start small. There are over 200 social media platforms and the number continues to grow. A small business marketer should attempt to master no more than two platforms, at least in the initial phase. Mastering a social media platform involves more than just posting content. It requires taking the time to understand the unique characteristics of each platform. This includes the site demographics, the tone and context of the interactions. The goal of SMM should be to get involved in the conversations taking place on social media platforms and become a valuable contributor to those conversations. This means resisting the temptation to sell and focus on being social by developing and cultivating relationships over the long term. You can become more comfortable with this approach if it is aligned and complimentary to your traditional outbound marketing which is squarely focused on sales. For many businesses, video is becoming an important component in their marketing plans. It is being used with direct mail, email, mass media, social media and other marketing tactics as part of an integrated strategy. Videos can enhance, reinforce and compliment your overall messaging. Here are five tips to consider for effective video marketing. What information do they seek when buying? Where are they in their decision making? Having a detailed understanding of your audience will make it easier to create videos that serve the information needs and requirements of the personas you develop. The goal should be to produce videos that provide the right information at the right time to the right customer. Knowing your audience will make it easier to select the appropriate type, tone and format for your videos. 2. Define Video Content – With video content, one and done should not be an option. Helping customers solve problems, explaining your products or giving customers a forum to talk about you provide a wealth of topics that can be communicated with video. Explainer/Tutorial – Customers need information. Explainer or “How To” videos provide the information customers need to solve problems or make purchase decisions. They are ideal for posting on social media and position you as a valuable contributor, offering helpful input to the online conversations consumers may be having about your products, brand or services. Product Reviews – Videos are an efficient way to communicate the features and benefits of complex products. Product videos on your company website can also help close sales. A 2014 study by Animoto revealed that 96% of consumers find videos helpful when making purchase decisions online and that almost 75% are more likely to buy if they watch a video explaining a product before they buy it. Testimonials – The Nielsen Global Trust In Advertising study found that in North America the top two most trusted forms of advertising are 1) people we know and trust and 2) consumer opinions posted online. This suggests that providing a forum for brand advocates via video testimonials can be a powerful and credible way to connect with prospective customers. If you are going to use testimonials you will need to make sure that you give consumers something positive to talk about. A focus on providing a superior experience at every touch point is critical if you follow this approach. Emphasize Help over Hype – People use social media to be social not to be sold. Businesses should be aware of this and refrain from using social media for explicit selling. Your video content should consist of a mix of both informational and promotional. The video you post on social media should be geared towards helping your customers. Promotional video content is better suited for your website and email marketing. Keep Videos Short and Impactful – When it comes to video, a good rule of thumb to follow is, the shorter the better. According to Wistia Video Analytics, the longer the video the less people watch. Depending on the topic and the target audience, you should be able to get your point across in 90 seconds or less. If not, you can produce multiple videos as part of a series. Make Your Videos Accessible – Consumers control when, where and which devices they use to watch video content. So make sure your potential viewers can watch your videos in a format that is compatible with mobile and desktop devices. Mobile Devices – Video is particularly effective on the smaller screens of mobile devices. Smartphone and tablet users are 300% as likely to view a video as laptop/desktop users (Invodo). Video Platforms – Although YouTube is the undisputed leader for video sharing there are other alternatives. According to Top Ten Reviews there are over 50 video sharing websites on the Internet. Select the best one that meets your needs to increase access to your videos. Your Website – Videos are an effective way to add variety to your website. Research shows that adding video content to a text heavy web page can increase customer engagement. Diode Digital found that 60% of viewers will watch video on a website before reading any text. Finally, in terms of accessibility, make sure your video loads up quickly. Internet users are an impatient bunch; after 2 seconds they will leave a video that hasn’t loaded. All the more reason to keep your videos brief. The keys to a successful video marketing campaign are knowing your audience, defining your content, emphasizing help over hype, keeping videos short and making them accessible. The data shows that the use of online video will continue to increase. Keep these customer driven keys in mind to maximize your video marketing. If you’d like to add additional tips, think we’ve missed anything, or have insights you’d like to share, please contact us, or leave a comment, below. Why Should I Use Video In My Marketing? Web 2.0 has facilitated a dramatic change in the way that organizations and businesses communicate with customers and other stakeholders. One of the fastest growing communication tools resulting from this change is online video. In this digital world where people express themselves in 140 characters or less, video is becoming a preferred way to communicate. Cisco estimates that by 2018, 84% of Internet traffic will be video. That’s because video is one of the most efficient ways of getting a message across. According to Dr. James McQuivey of Forrester Research, one minute of video is worth 1.8 million words. While this seems hard to believe, his statement is the result of a simple formula based on the notion that a picture is worth a thousand words. Clearly, video can deliver complex messages in an engaging way through the combined use of sight and sound. Even though it has been in existence for just 10 years, YouTube has over a billion users. They watch more than four billion videos each day. YouTube processes more than 3 billion searches a month and is now the second largest search engine behind Google which handles 100 billion searches per month. And while some YouTube viewers can’t get enough cute baby and funny pet videos, there are many more who are looking for information. It is possible to find a video on just about anything on You Tube. The organizations and businesses that are using video are as diverse as the viewers themselves. Advance Auto Parts, a provider of quality car parts, truck parts, advice and accessories uses online videos as “how to” guides for customers that self install their auto parts. Advance Auto follows a disciplined strategy that produces videos tailored to provide the right information at the right time for the right customer. The emphasis is on serving the customer rather than being self serving. Using this approach, they have experienced an increase in conversion rates (sales). In his book, The New Rules of Marketing and PR David Meerman Scott cites the example of Mary McNeight. She is the owner of Seattle based Service Dog Academy, a provider of private training sessions for service and pet dogs. The Service Dog Academy website features instructional videos McNeight produced with an inexpensive video camera and software on her Macbook. These educational videos generate high search engine rankings. By Ms. McNeight’s own admission she went “…from barely having any students to getting anywhere from 20-40 emails per day requesting my services and advice…”Her first instructional video “Best Dog Food Puzzle: The Kongsicle” is on the Service Dog Academy website and their branded YouTube channel. The Service Dog Academy You Tube channel has nearly 1,000 subscribers and over 95,000 views since 2010. Like Advance Auto, Service Dog Academy videos are more about helping customers than direct promotion. Light Speed, is a Connecticut based eLearning and Multimedia development firm. Carlton O’Neal, Managing Partner said, “We saw the potential of leveraging the power of video many years ago and made a conscious decision to transition away from consulting, facilitator led training and development to eLearning and multimedia. What is being done with video? Videos can be posted on several different platforms, 24/7 at little or no cost. In their 2014 State of Video in the Enterprise Report, Kaltura found that a majority of businesses use video for customer training (65%) and customer webinars (60%). Videos are also increasingly being found on company websites, in email campaigns and on social media. Website: Videos can help generate high search engine rankings for websites. That’s why a website should be one of the first places to post videos. You have the flexibility to post videos anywhere on your site – home page or landing pages. Research shows that adding video content to a text heavy web page can increase customer engagement. Mist Media reports that the average consumers spend 88% more time on a website with video. Diode Digital found that 60% of viewers will watch video on a website before reading any text. A landing page with a video gets up to 800% more conversions than a page without a video. (Source: Orion21). Email: More marketers are using videos in emails to improve the performance of their campaigns. Incorporating videos into email marketing campaigns can increase open and click through rates dramatically. Research shows that emails with video have a 5.6% higher open rate and a 96.4% higher click-through rate. Videos on social media platforms result in increased engagement and sharing Video is one of the best ways to reach Facebook users. On Twitter, Tweets are 28% more likely to be re-tweeted if they have a video. This is nearly twice as many as Tweets that just have a hash tag. With over 400 million users in over 200 countries, LinkedIn is the premier social networking platform for business and business professionals. B2B marketers and professionals should strongly consider posting videos on it to increase their visibility because according to LinkedIn videos usually result in a 75% higher share rate Posting content on LinkedIn establishes the user as a thought leader and expert among peers in their respective fields. Why is video a better option? Video is a better option because of lower costs, more control and human nature. Many business owners and executives mistakenly believe that video content is an expensive option. However, their beliefs are based on the old paradigm where highly polished corporate video took months to produce and cost thousands of dollars. Today however marketers have low and no cost options of creating or curating video content. Do it yourselfers can use smartphones to produce low cost videos that are stunning. While it is true that high quality multimedia video can be fairly expensive, animated Power Point presentations, white board animation and flash animation offer ways to create affordable video content at significantly lower costs than a television commercial. For those that are less daring and creative, curation of video content is a viable alternative. Content curation is the process of collecting, organizing and displaying information on a particular topic. Basically, you are sharing content produced by someone else on your own digital mediums and platforms. Essentially when you share the content of others you are endorsing them. It is therefore a good idea to make sure that their views are consistent with yours. Also, it is a good idea to give credit to those whose content you have shared. Unlike TV ads, businesses have complete control over when, where and how long a video stays on and where it is seen. Companies can also control costs by selecting lower cost options or even by deciding to share the video of others, an even lower cost option. As with any marketing solution, a clear understanding of targeted audiences is a key prerequisite. When determining the appropriate mix of video and text content to use in digital marketing, keep in mind that people are both rational and emotional in their decision making. Video and text content combined can accommodate both sides of the human mind. While studies show that people are more likely to remember a video, there is ample evidence that people are more intellectually involved when reading text. Video content can engage the consumer who is at the top of sales funnel deciding whether to buy. This is an ideal opportunity to connect with prospects on an emotional level. As the prospect progresses along the sales funnel the intellectual side kicks in and they are more likely to read text content. The use of video for marketing will only increase in the next few years. The data supports this increased use. It is a proven viable communications alternative that offers benefits in terms of lower costs, control and customer engagement. Savvy businesses can jump start their results by adding video to their marketing. Digital marketing is a catchall term to describe the use of digital technologies and techniques to create and retain customers. Social media is one of the more prominent digital marketin g techniques because of the huge numbers it attracts. As a result, businesses are establishing a presence on the various social media platforms where customers are having conversations about their products, services and brands. Many believing they can acquire millions of visitors and users jump into digital media and invest time in Facebook, LinkedIn, Twitter and Google+. They are often disappointed when they don’t see significant results in the short term. In an attempt to get more sales out of their digital marketing, businesses will hire an agency or try to establish in house capabilities and in most cases are still unable to see a significant increase in sales. How can businesses avoid these pitfalls and achieve their sales goals? By increasing their understanding of customers, using that knowledge and spending more time to develop content and setting the proper level of expectations for social media marketing. In Marketing everything begins with the customer, so one of the first steps in crafting a marketing plan is defining the target audience. This customer knowledge is the foundation for an integrated marketing strategy that includes both traditional and digital tactics. This knowledge will help drive decisions around which digital marketing techniques to use and more importantly the content that will fuel your digital marketing efforts. By defining the individual or business customer as precisely as possible, you are in a better position to develop relevant content that they will seek out. Businesses should increase their knowledge about how their target audience obtains information about the products/services they offer; knowing where their target audience looks for what the Company offers, when their target audience starts their search for information and what set of circumstances trigger the search behavior. Your understanding of the target audience and the decision making process they go through to make a purchase will allow you to think like a customer when it comes to producing content. Use your customer insights to guide your decisions on the type and tone of content made available on your digital distribution points. Quality customer focused content has distinct characteristics. Many businesses spend a lot of time and effort on the look, feel and navigability of websites, getting on to social media platforms. They spend considerably less time developing a content strategy. This is a mistake because a steady flow of content can increase your search engine optimization making it easier to show positive results for your digital marketing. Content can be re-purposed and used across all the digital marketing platforms. Your website is the hub of your digital marketing strategy. This 24/7-touch point is where target audiences can engage with your company, at their convenience, for information, purchases and service. It should be the central repository for relevant content that prospects look for during their information-gathering phase. The website can be a call to action in traditional and digital marketing tactics including email, videos, webinars. Gallup’s 2014 State of the American Consumer study validates the Hubspot findings in greater detail. According to Gallup 62% of the 18,000 respondents indicated that social media had “no influence at all” on purchasing decisions. Clearly, social media is not an effective sales channel. It is better suited for providing consumers with authentic, responsive and compelling information without an overt sales pitch. In order to achieve sales success with digital marketing, there needs to be a willingness to incorporate digital marketing into a comprehensive integrated marketing strategy that includes both inbound and outbound marketing tactics. This comes with the realization of the limitations and appropriate roles for social media. Despite the huge numbers of consumers that are actively engaged on social media, businesses should use social media to tell their story not to sell their story. There is a wide array of survey software, with a range of features and options that make it easy for businesses and organizations to get feedback from their target audiences. Some survey software tools are very simple to use while others are more complex and sophisticated. Most have free versions that provide very basic survey tools, are available online and hosted through secure cloud servers. Some of the most popular include Survey Monkey, Survey Gizmo, Typeform, Google Forms, and Zoho Survey. Selecting the one tool that is right for you, from the hundreds that are available, will depend on your needs and your budget. Even though software has made it easier to collect and analyze customer data, the quality of that data is still dependent on the questions asked. Good questions yield good data while bad questions result in bad data. More often than not business owners will begin a research effort by formulating questions. And of course, they don’t want too many questions because nobody likes long surveys. What usually results is a list of 3 to 5 Yes/No questions that are more than likely related to “nice to know” rather than “need to know” aspects of their business. With this sort of approach it’s no wonder that they are often disappointed with the final results and end up being skeptical of the value of surveys. This is why survey Do It Yourselfers must begin by first establishing objectives for their research and then translating the objectives into questions that can be asked in a survey. If you are to the point where you have decided to conduct a survey then obviously you want to get the most accurate unbiased information possible to support your decision-making. Survey objectives should be used to determine the type and number of question(s) that will be asked. The objectives will also help in identifying who the survey respondents will be. Each question you come up with should be evaluated against the objectives. Using survey objectives as a filter will also help in prioritizing and selecting the questions that will be on the final survey instrument. If a question is not related to one of your research objectives it should not be on the survey. This step will increase the likelihood that your data will be actionable and meaningful. Make sure that the questions are clear, unambiguous and unbiased. Poorly worded questions can lead to biased results. Stay away from leading and loaded questions that prevent you from revealing respondent’s true attitudes and opinions. Leading questions steer respondents to a desired response. Example: Do you use ABC brand shampoo? A better question would be: Which brand of shampoo do you use most often? A list of competing brands should be included for respondents to choose from. Loaded questions tend to touch on peoples fears and emotions. Example: Shouldn’t people avoid shopping online to prevent identity theft? Please rate the effectiveness of the following ways to prevent identity theft when shopping online (each way is listed). A survey questionnaire should have a beginning, middle and end. Questions at the beginning of a survey screen for the type(s) of respondent and are followed up by easy to answer questions designed to engage the respondent and raise their interest levels. Questions in the middle address the survey objectives in detail. These questions tend to be a little more complex and can include rating scales and skip patterns. It is important that these questions come early in the survey so even if a respondent does not finish the survey, their responses can be used in the final analysis. The end of the survey is where classification questions are presented to the respondents. These questions define and describe your respondents and provide extra meaning to the data during the analysis phase of the research. For consumer surveys, classification questions include demographic information such as age, income, education etc. For B2B surveys, classification questions are about attributes that describe the business, such as number of employees, industry type, company size, location etc. Classification questions are left to the end because some respondents may not answer them because they perceive them as being of a personal nature. Certain words force respondents to completely and fully agree or disagree with the question. These words present the respondent with extreme absolutes and should be avoided. As a result, answers to questions with these words may be biased because survey participants could interpret them literally when answering. Professional survey researchers know that questionnaire design is a systematic effort that involves the consideration of various question formats, carefully choosing the right wording and organizing the questions in a layout that engages the respondent and minimizes respondent fatigue. However, if you choose to go it alone by following these simple guidelines you will have a winning questionnaire that provides the insights needed to make the best business decisions. How does your company go from a commodity to an experience? I saw this topic on Twitter recently and decided to weigh in and hopefully provide some insights in answering the question: “How does your company go from a commodity to an experience. Companies that provide a commoditized service are challenged to show why they are better, and worth more to a customer than other companies that provide the same service. When competitors provide identical products and services there is a tendency to focus on price (the lower the better) as the primary point of difference. While it is highly likely that a number of buyers are price sensitive, competing on price is a zero sum game that puts additional downward pressure on razor thin margins. For a number of commodity businesses, a culture shift is required to switch focus from the product (e.g., price) to the customer (e.g., experience). Providing a superior experience at each customer touch point is a more sustainable point of difference over the long term than engaging in price wars. Senior management must lead this culture shift by demonstrating their commitment to achieve superior levels of customer service. Despite the significant choices that exist for today’s consumers, the bar for high quality customer service across all industries is quite low. Companies that commit to creating a customer service culture would immediately set themselves apart from their competitors with relatively small improvements. 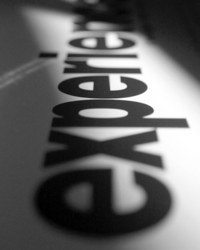 There are several examples of companies that focus on the customer experience. Amazon.com has a self-described “customer obsession” which is championed by their CEO Jeff Bezos. Bezos, the chief proponent for this focus on customers has consistently rejected the urging of Wall St to discontinue Amazon’s policy of free shipping, yet Amazon continues to place customer satisfaction over profits and ranks among the most admired companies. Apple has become a cult brand because of its extreme focus on the customer experience. Apple orchestrates every detail of the customer in store experience. It begins by hiring employees whose personalities align well with their philosophy of customer focus and giving them extensive training on how to provide a superior customer experience. As a result, Apple “commodity” products never compete on the basis of lower price and in fact, command a premium price over competitors that offer similar products. Ritz Carlton the iconic luxury brand hotel has a corporate culture that is built around “wowing” their guests. Ritz Carlton employees can spend up to $2,000 to make any single guest satisfied without approval from their general manager. The company hires just 2% of the people who apply for jobs and once onboard their employees are among the best trained in the nation. So how does a Company go from a commodity to an experience? There are several key characteristics of Companies that have done this successfully. Senior management is profoundly customer centric and committed to building a corporate culture focused on delighting customers. There is a complete understanding of what customers want and expect based on solid research and customer knowledge. They hire people whose personalities are aligned with customer centricity and train them extensively on how to deliver a high quality experience. The operating strategy is the brand strategy and as a result the brand, the strategy and the customer experience are intertwined. These companies create a culture that when things are going wrong, employees are not fearful of coming up with creative ways to satisfy a customer. They hire people that are aligned with their customer centric values and train them extensively so they have the control to deliver an amazing customer experience. Companies that provide a commoditized service can avoid the death spiral of low price competition by going through a senior management driven culture shift. Learning as much as possible about buyers will enable you to be more efficient with your marketing efforts. Without this “customer intelligence” many marketing decisions are made on a hit or miss basis. Some things work, most don’t. In today’s hyper competitive marketplace, the business with the most insight about consumers will succeed. There are many ways to get customer information. Much of this data can be found within internal customer records. The most cost effective way to increase your customer knowledge is to begin with your existing customer records. Data mining is the process of identifying patterns from data. The goal of this effort is to obtain information that can be used to better understand your customers and grow your business. Amazon is a leader in the area of collecting and using customer data for growing its business and creating stronger relationships with its customers. Mining your customer data will enable you to identify trends in terms of what customers are buying and how they are buying. You can use these insights to make necessary adjustments to your sales and marketing programs. While there are available software packages that can provide sophisticated analyses and reports, small and medium sized businesses with limited resources can still increase their customer intelligence by looking for a few key characteristics and data points in their customer records. Use internal data to identify your long time customers. Customers that have been with you the longest can provide valuable information on your brand. They can also become effective advocates for your business with referrals. Businesses would be well served getting closer to these potential key influencers. Make them feel a part of the business by getting them involved in new product or service development. Developing products from a customer perspective may increase the chances of success in the marketplace. Threadless,a Chicago, Illinois based T-shirt company has never had a product fail. They have their customers involved in nearly every aspect of the business – idea generation, marketing, sales forecasting. The retailer’s web sales increased to $36 million in 2012 from $30 million in 2011, according to the Internet Retailers 2013 Top 500 Guide. Your internal customer records can help you identify your most profitable and least profitable customers. The data may reveal characteristics that your profitable customers have that you can use to target prospects with those characteristics. Data mining will also provide insights on clusters of customers by gender, location and product type. This can also help you in targeting areas with similar demographics.